Not even a plaque for the treble winners. Central FC, a 4-year old Professional Football Club based in central Trinidad, has broken all chains, cross the highest mountains and sailed the deepest Caribbean seas to emerge in T&T's history books, but, what are they getting for their feat, zero, nil and as the old timers say it, nought. 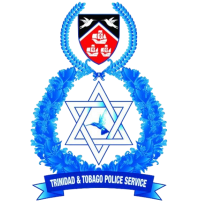 Currently, Trinidad and Tobago has approximately 100 murders and we are only 3-months in 2017, the country crime rate is so high countries like the U.S. and England is warning their citizens to beware about travelling to T&T. With sports, more-so, professional football that employs over 300 citizens and if you count the Youth League you'll get a much higher number, while, they may not be paid as professionals, they are still under Clubs umbrellas, keeping youths discipline and out of the streets. You would think that the government would push sports in this country as a crime-tool but instead politicians take up positions and use it to their own agenda. Imagine, the National Aquatic Centre in Couva cost taxpayers almost TT$300-million dollars to construct. The Brian Lara Stadium TT$1.1 billion. Pan American Games and Olympic athletes get homes and ginormous cash-prize for medals and yet football in T&T is suffering, it's so bad that Tobago doesn't even have a professional team, they get treated like a stepchild. A country that produced T&T's greatest footballer of all time, Dwight Yorke. Not saying Olympic athletes doesn't deserve something and as of lately, they too are struggling, but the wealth must be evenly distribute according to its needs. The Ministry of Sport and Youth Affairs display on its website: "To be a dynamic, customer-oriented and policy driven organization that brings all stakeholders together to promote youth development, total participation and excellence in sport. To coordinate and facilitate the delivery of quality development services with special emphasis on the enhancement of youth, and sport for recreation and industry. The Ministry of Sport & Youth Affairs is the major stakeholder of the Sports Company and collectively the two entities have the overall responsibility for the implementation of the goals and the objectives of the National Sport Policy of Trinidad and Tobago, whose mission statement is to enrich our lives through total participation and quality training and excellence in sport." The Stadiums are used for more fetes and concerts than sport itself. Just recently, T&T senior Women's coach Carolina Morace and her staff visited Tobago for a screening session in hope to unearth national players but instead she had to face the disappointment of an unmarked Dwight Yorke Training Ground. She immediately returned to the airport and was on the next flight back to Trinidad. Another missed opportunity for Tobago because of insubordination by the Stadium officials. A simple phone call could have saved the TTFA hundreds of dollars in airline tickets. 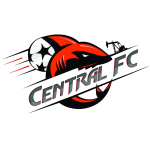 Central FC meanwhile, known as “The Sharks” will celebrate its 5-year anniversary this coming July and since its birth they have grown at an expeditious rate, they have accomplished what no other has in such a short space of time. 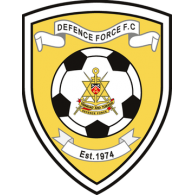 They have won the T&T Professional League 3-times in a row (2014–15, 2015–16 & 2016–17) becoming the first team to do so and also the second T&T Club to have won the CFU title with a fully local team since Defence Force won it back in 2001. To take it a bit further, if Central FC wins the 2017 CFU Club Championship they will also go down in the history books as the first to win 3-CFU Cups back-to-back titles and, with a fully local team, meaning, they normally field players born and bred from T&T. The Sharks have won the First Citizens Cup twice (2013 & 2014) and also holds a solitary Lucozade Sport Goal Shield trophy from 2014. The FA-Cup 2012/13 and 2013/14 runners up has bagged 8 medals since its inauguration back in 2012. Surely, one could not deny such achievements, which caught the eye of Soca Warriors Online (SWO). Today, we have reached out the to two men behind the Central FC-wheel (Brent Sancho - CEO and Kevin Harrison - Operation Director) to not only congratulate them but to also pay our utmost respects to the Club and the players for flying our country's flag high despite the consistent lack of government support. 1. SWO would like to congratulate Central FC on there accomplishment of winning the T&T Professional League 3-times in a row becoming the first team to do so and also the second T&T club to have won the CFU title with a fully local team since Defence Force won it in 2001. To take it a bit further, if Central FC wins the 2017 CFU Club Championship they will also go down in the history books as the first to win 3-CFU cups back-to-back with a fully local team. Can you give us a little bit more details about the Club's accomplishments since its existence and how hard was it to achieve such accomplishments. BS: Thank you very much for your congratulatory sentiments. For you to understand the flower you must understand the seed. When, the seed was first planted it was based on a belief. This belief was born in a time where the top teams in the TT Pro League believed that local talent didn’t have the professionalism to achieve, sustain and accomplish both on and off the pitch. Central FC was conceptualized on two fronts on and off the pitch. On the pitch we wanted to put together a team of 99% Trinbagonians that worked in an extremely high professional environment with training regimens similar to our European counterparts. Guys like Jan-Michael Williams, Darren “Chucky” Mitchell, Leston Paul, Jason “Nelly” Marcano, Nathaniel “Spanish” Garcia, Sean de Silva, Kevon Villaroel, Kaydion “Dogba” Gabriel, Jamal Jack, Keion Goodridge (the only survivor from Day 1 screening) have all bought into the club philosophy. There have been ups and downs, of course, but they have been loyal and hard working and have encouraged younger players such as Jem Gordon, Rundell Winchester, Nicholas Dillon, Javon Sample to take on board the same mentality. Add to that, influences like Yohance Marshall and Julius James and we maintained a solid belief in the style of play we wanted to achieve. 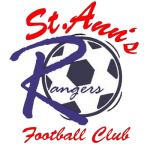 Obviously, praise has to go to coaches Dale Saunders, Stern John and Brent Sancho for implementing tactical programmes that allowed a team to dominate for two seasons and for the groundwork laid down by Graham Rix, Terry Fenwick, Zoran Vranes and Ross Russell. Off it, a high functioning community outlet that has a local and international brand. (1) Self-sufficiency through strong corporate partnerships and television broadcasting rights. (3) Selling of players through our academy system. There is a three-year, five-year and ten-year plan to do all of this. We believe winning will fall into place if we held true to that seed planted. 2. SWO understands that Central FC have not received any prize money dating back to 2015 when they first won the prestigious award. Would you like to touch on this and also, can FIFA/CONCACAF be of any legal assistance. Kevin Harrison (KH): We have received some of the 2015 money, but not all. While our budget was not dependent on prize money, we had intended to use it to supplement the 2016 CFU and Champions League campaigns and keep some in reserve, after player bonuses were paid. However, with the loss of sponsors and the inability – for the first time since our formation – of attracting new sponsors, the surplus prize money became essential to maintain the Club. At the start of 2016-17 players who had just won the League & CFU double were asked to accept a 40% pay cut so the Club could continue. I don't believe that FIFA/CONCACAF could assist and certainly, TTFA have not approached us to represent our case to them. The procedure of receiving both sponsorship monies and government assistance sometimes is a long process for the TTPL, but 3 years?? no. Our biggest gripe, is that it seems that Central FC's prize monies is at the back of the line of whatever outstanding the TTPL has to its debtors. We have been very understanding and our patience has run out. 3. How expensive is it to run a football club in T&T which includes players and staff salary, daily operations, field rental, etc. Obviously, money is not made through gate receipt because of poor crowd support and now the lack of Government Subvention or a delay in funds, what do you feel can be done to help keep the clubs and league alive. We notice that the new Trinidad and Tobago Super League (TTSL) is about to embark and is expected to be bigger than before, not to mention they plan to keep football alive in Tobago as we'll see 3 teams from their participating in the new season. How can the TTSL survive for so long and still is and the Pro League is suffering. Obviously, money is not made through gate receipts because of poor crowd support and now the lack of Government Subvention or a delay in funds, what do you feel can be done to help keep the clubs and league alive. We notice that the new Trinidad and Tobago Super League (TTSL) is about to embark and is expected to be bigger than before, not to mention they plan to keep football alive in Tobago as we'll see 3 teams from their participating in the new season. How can the Super League (soon to be TTSL) survived for so long and still is and the Pro League is suffering. Brent Sancho (BS): TTSL outlay and TTPL outlay for a starter is very different. 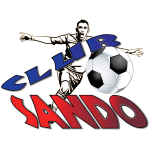 Most clubs run on a budget of approximately 100k to 190k per month inclusive of all mentioned. That would give you a 25-28 man squad on reasonable salaries. This would provide both competition for places amongst the squad, allow rotation of players (Goodridge and Mitchell played all 18 Pro League games) and give us 5 or 6 youngsters to develop. It must be noted that the subvention to all clubs is a very new occurrence (approx. 5/6 yrs). In fact Central FC was the last club to receive subvention three years ago. I remembered being told by Minister Rupert Griffiths, the then Sports Minister, that it was between Central FC and Point Fortin Civic FC as to where the subvention would be issued, as it was the end of the fiscal year. 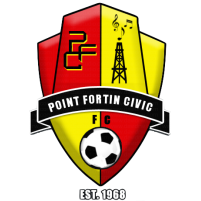 I suggested that Point Fortin Civic should get it as we had sponsors at the time. 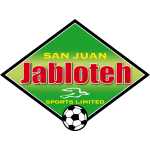 I believed both TTPL (Trinidad and Tobago Pro league) and SPoRTT (Sport Company of Trinidad and Tobago) have deeper roles to play in eradicating a lot of this country's social ills. I saw with my own eyes what happened when we couldn’t afford to continue our programs in Crown Trace Enterprise. Sport (in particular football) goes where no man, woman, politician, lawyer, doctor can go. All Governments’ have failed in making corporate T&T much more responsible in investing in sports. KH: Even when in the Ministry, Brent and I were in favour of a pyramid system involving promotion and relegation and subventions for Super League clubs. Also, included parachute funds. I met with Sheldon Phillips (TTFA General Secetary), Keith Look-Loy, Keston Lendor and one or two others and mapped it out and were in agreement. Current TTFA President David-John Williams unfortunately missed that meeting but I'm sure he would have recommended it to Pro League. As TTFA were overseers of competitions, it had to meet with their approval, but Raymond Tim-Kee (TTFA President at the time) would not permit further discussion. My only concern with the new TTSL (Trinidad and Tobago Super League) is that they seem keen to publicly devalue Pro League in an effort to promote their league. This, to me, is crazy. We must have a strong professional league for our national teams to flourish. We also need it to encourage talented youngsters to stay in football. They keep talking about low salaries, but the truth is that an average professional will be paid an hourly rate 4 or 5 times higher than a TTSL player working at Sports & Games. And the TTSL player is expected to undergo gruelling training after an 8 hour shift. This could never develop the level of fitness required for national teams. Keith Look-Loy is passionate about TTSL, and rightly so. But it must be developed as a feeder league for Pro League. Done correctly, TTSL clubs can reap financial rewards when clubs ship their players overseas. But they need to manage their players. With respect, it would be better to encourage talented players to join W Connection or Central FC, who have established overseas connections rather than join Police FC or Defence Force. Those two clubs provide guaranteed employment and perhaps should be considered at age 22 or 23 when it is clear that the player is unlikely to move overseas. 4. From what I understand is Central FC is on the verge of bankruptcy. Is there any truth in this. KH: Most creditors understand that we are owed a lot of money and have been patient. But they, too, have commitments. There would be nothing to be gained from suing the club, although one person seems determined to close down Central FC. If we received our 2015 & 2016 prize money we would have zero debt and a bit of operating capital. 5. Do you feel Central FC is fairly supported by other club committee members, the Minister of Sports and the league administration. 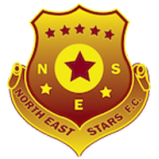 Or do you feel Central FC's rapid growth to success has put a sour taste in league members mouth. BS: Yes, but more no. The TTPL board is compromised wrongly. Each team has a representative on the board but the problem is most of the time the competition to win seeps into the boardroom when all members should have one hat on and that is to move the league forward. My parents told me that with success, comes hate, as a kid I thought they were miss quoting the statement, but…..
KH: We have a very pleasant personal relationship with all Clubs. I think our main problem is that we are not prepared to sit back and accept certain things. Yes, we are vocal, but our country advocates free speech. Why should we not criticise poor performances? I cannot understand the Minister of Sports (Darryl Smith's) attitude towards professional football. I recall the many attacks on Brent when he was Minister of Sport (MoS). The funny thing is, most of it was because of politics, when everyone knows he was not a politician. Of course, he had to become one pretty quickly? Meanwhile, Darryl Smith is a career politician, yet he receives very little criticism, mainly because he says and does very little. This is not about PNM and UNC, it's about having an active, passionate Minister who can influence public perception even if he cannot provide the funds required. Let's be honest. If the Minister had invited our players to the Ministry to congratulate them, not only would it have got nationwide media coverage (which sponsors would take note of) but also allow discussion on working together on projects to promote football and encourage youths into the sport. 6. Does teams get financial support from CFU and CONCACAF to partake in regional tournament and if yes, can you give us further details on such. KH: Clubs receive US$10,000 for participating in the CFU group and final rounds. They also provided with accommodations. This is around TT$65,000. On average it costs around TT$130,000 to travel. SPoRTT have assisted in the past with a one off donation of TT$75,000. The problem comes if you reach the finals as you are still at least TT$65,000 short. You have to cut back on the number of players and staff, find the cheapest routes (which often require longer journeys) and we literally begged companies for money. We had two CEOs who wrote personal cheques because they didn't want their companies to sponsor the club. We campaigned for change because there is no prize money for winning CFU. This year, the holders - Central F.C. - will host the final round and do not have to qualify. We have written to both SPoRTT and the MoS for assistance in hosting, but we are yet to get a response from a letter written January end. The Champions League Clubs receives US$40,000 per away game. Even so, it is a struggle to to fly to places like L.A., Vancouver and Kansas and provide meals and accommodations. We were forced to stay at hotels like Days Inn and arrive the night before the game, leaving the morning after. Again, we cut our travelling squad to 16 and a bear minimum of staffing. By comparison, Vancouver chartered a plane to come to Trinidad to play us and stayed at the Hyatt and carried 18 members of staff! 7. 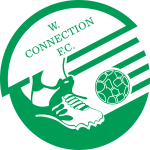 SWO understands that Central FC gets more support from outsiders more than their own people do and that you were approached by someone in Jamaica to move the club there because they are impressed by the Club and the way its run. Can you tell us a bit more. BS: We have had a lot of interest outside of Trinidad. I have held meetings with several movers and shakers in the footballing world about investing and in some instances completely buying over the Club. It’s truly remarkable that those on the outside can see the value that those in the inside refuse to acknowledge. When I first finished playing football, my goal was to give back to my country for all it gave to me. Whether it is through admin, coaching, tv sports analyst or governmental, my heart remains the same. Flex, it's very strange to me, even after 7 years in T&T, how football is so poorly supported. We've tried big name coaches, players such as Kenwyne Jones who attract fans everywhere, free admission, community fields, but none of it works. Imagine we've never been defeated by a club from any Caribbean country, yet people say the quality of football in the Pro League is poor! When we travel, fans want to see us play. At the Champions League draw, Clubs – including MLS teams – are pleased not to be drawn against us. While our Champions League results may not seem impressive, we've only lost at home once – to Vancouver Whitecaps, our first competitive game of the season. We've had requests from Italy, USA, Canada, Holland and UK for our jerseys. When we landed in Vancouver we had 40 or 50 fans waiting to greet us. 8. Does Central FC have any sponsors. If so, who are they and what and how long will they be with you guys. KH: Our only sponsor this season was Maritime Financial and the total invested was less than our monthly wage bill, but it was gratefully received. We get free Gatorade and product from Blue Waters. 9. T&T track-star Richard Thompson recently blasted the Minister of Sports for his lack of support for track athletes and now the MoS is doing the same to local football. Thompson's blast was never retracted but now that Central FC are in the same boat, they are getting a negative feedback from the MoS among others. BS: I remember when I was Minister and the criticism I got from a few, inclusive of people I thought would just pick the phone up and say “Brent what the hell are you doing?”, instead they went to the press etc. Moral of the story, when you are in position of height, expect more axes to chop at your feet. I know that any statements I make will be deemed political, but a spade is a spade whether it's yellow, green or red. 10. Do you feel Central FC players will get blacklist when it comes to playing for their country because of the recent rift between the Club, their captain Jan-Michael Williams and the close relationship between the TTFA President David John-Williams and Minister Darryl Smith. Do you feel this will have some negative impact. BS: Central FC players have been strangely omitted before and who knows what will happen in the future. When Richard Thompson made his statement there was no press release by the TTOC or the NAAA or even a childish outburst by Hasely Crawford about Richards statements. Where was the instant rebuttal from SSFL, TTPL, or even Dwight Yorke when the then President Tim Kee went on his attack of then Minister Sancho?? 11. How many people in T&T is employed through local football and with the recent spike in crime-rate how important is football in this country. BS: I would estimate that around 300 people are employed in Clubs and Pro League. But you may choose not to count government teams Defence Force and Police FC (But I believe the majority of those were attracted to the services by football). Along with that you'd have security, medical personnel, D.J. 's, concession owners, maxi drivers, suppliers of ice, who all would lose income if the league did not exist. Worldwide, the best footballers usually come from the toughest areas. It's no different here, with most of the so called hot spots well represented. The difference is that in other countries, those communities would come out to support their local boy, but you don't see much of that in T&T. 12. When is the Pro League elections for Committee board Members, who are the current committee members and when is election for the league's CEO and president. 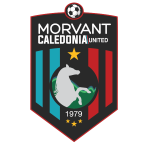 Will we see anyone from Central FC running for any top position seeing that Central FC is so properly will managed, very successful and with so little at their disposal. Like what we are seeing is a dictatorship going on in the league with league members holding dual positions with the League and the TTFA and everything football in T&T is basically run by just a few individuals. KH: The Chairman and CEO are appointed by the Pro League board which is, in fact, the Club owners. Usually, when a contract expires a new one is offered. I don't believe that anyone at Central FC has the skill set needed to run the League. I would like to see more involvement from volunteer corporate heads, maybe operating in an advisory capacity on a development committee that provides recommendations to the board. We certainly need more experienced businessmen to come up with income generating concepts and who have the corporate links to access new funding. I'd just like to add that the Pro League business model is sound, and would be successful elsewhere. The problem is, when you get down to it, is that Trinis do not have a football supporting culture. All of the reasons given for poor attendance do not exist elsewhere: Stadiums are too far...... No stadium is more than 30 minutes from a catchment area of 100,000 people, or 10% of the population. Compare that with outlying English clubs such as Carlisle Utd, Hull City, Plymouth Argyle who survive on attendances of at least 2,000 if not more. No transport......same answer. While public transport is deplorable, car pool or get 12 of you to hire a maxi. Too expensive....yeah, right. And fete tickets are cheap! TT$30 for a double header is far too cheap. Even if you factor in TT$50 for transport, try going to a game in Europe or USA for less. Football is poor quality …. Yes, there are some poor games and poor performances, just like any other league. But overall the product isn't bad and there are some very exciting games. The main reason people don't get excited is that they don't get emotionally involved. Once you support a team, you know the players and you want to win. A vast majority of football supporters in T&T would be able to name 5 Barcelona players or 5 Chelsea players, but unable to name 5 Pro League players. Not promoted enough...this is my favourite one! How can people know the kick off time of Bayern Munich vs PSG and which channel it is on? Simple. They go online and find out. But they can't go online and find the Pro League website? My biggest gripe is that if the media and government actively supported football, it would blossom. I'm not talking financially. The government should have an all party sport committee that looks at 5 and 10 year developmental plans. The day after Central FC won their historic third league title, the back page of one paper showed Daniel Sturridge missing a goal for Liverpool. When I complained about it, I was told that as the game finished around 6pm it was too late for the next day's press. Yet a murder happening at 11pm can get into the paper the next day? I mean, everyone knew beforehand that either Central would make history or rivals, W Connection would dramatically pip them at the post. All the papers had to do was leave space for the journalist to email his report and a photo by 7 pm. These things can be done, but there is no will to do it. Copyright of the Soca Warriors Online - Any press using the above article written by Inshan Mohammed are welcome to do so providing they reveal the source and writer. Furthermore, no portion of this article may be copied without proper credit as well.